Latin America - Is There A Difference Between “Troika Of Tyranny” And “Axis Of Evil”? Photo credit: Twitter | @iHeartRadio. The phrase ‘Axis of Evil’ became notorious in the first decade of the century when then-President George W. Bush used to describe ‘Iran, Iraq and North Korea.’ The speech, spoken before a united congress during his state of the union in 2002, highlighted the then White House’s administration’s intended foreign policy, under the guise of leadership of Mr John Bolton. Ever since then, Iraq was invaded, Iran slapped with sanctions and North Korea is (apparently) finally ready to give up its nuclear arsenal. This time round, some 16 years later, and in a week after the biggest nation in South America, Brazil, turned further right than it had ever been before, Mr Bolton made clear where the current administration interests laid when he gave a 30-minute address at Miami Dade College’s Freedom Tower. Related coverage: <a href="https://thegoldwater.com/news/40643-Brazil-Bolsonaro-To-Start-A-Right-Wing-South-America"> Brazil – Bolsonaro To Start A Right-Wing South America?</a>. He explained that the Trump administration will take a hard line against Cuba, Venezuela, and Nicaragua by sanctioning the countries and cutting off diplomatic relations with them until they meet US demands. With Mr Jair Bolsonaro ready to take the reins of Brazil, Mr Ivan Duque in Colombia indicating that he has no problem backing the US with an invasion of Venezuela and Mr Sebastián Piñera in Chili thinking likewise, the US seems to have more allies in the region than ever before. 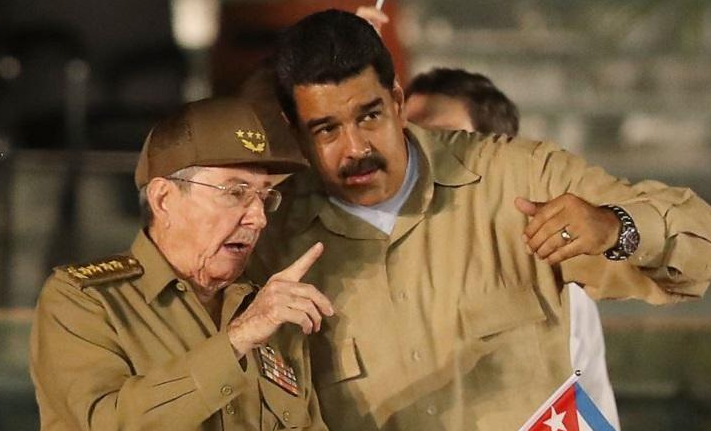 Any spotting in Switzerland of Venezuelan President Nicolas Maduro or Cuban President Raul Castro to get their future ‘affairs in order’ in the coming months should therefore not be too surprising.